This two ply EcoSoft jumbo tissue has a 9 inch diameter and is ideal for heavy traffic facilities. This jumbo tissue is 100 percent recycled and meets EPA guidelines for post consumer wastepaper content. Large core 3.32 in. 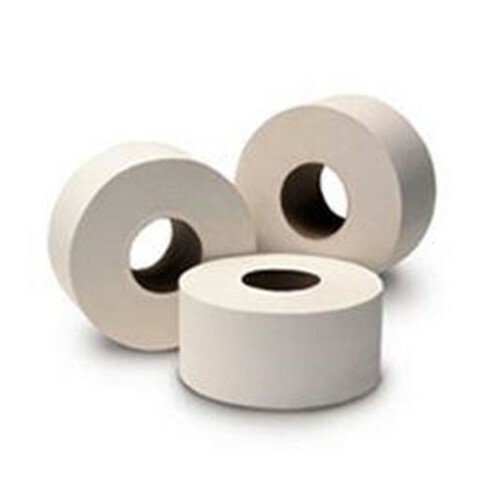 Reduces storage space requirements as each roll is equal to 5.3 rolls of standard roll tissue, Contains a minimum of 20 percent post consumer wastepaper. Case Size: 18"x 18"x 9"